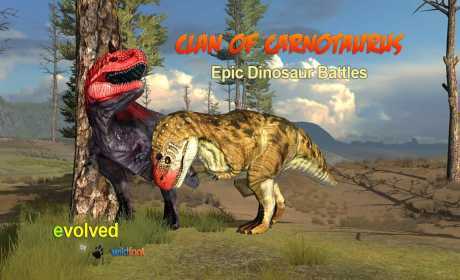 Clan of Carnotaurus is now here! 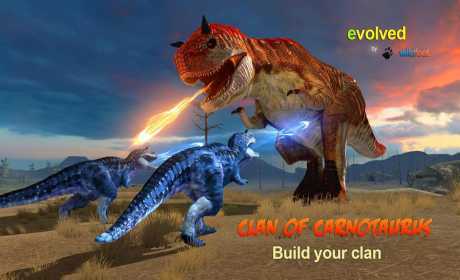 Run across this super detailed Jurassic landscape in search of your clan members while controlling your very own Carnotaurus. The lesser known relative of the T-Rex, this giant dino is ready to run. Customize his color to make him look the way you want!! Use your clan members to help you battle the huge Dinosaur bosses. Its total Jurassic dinosaur action, all for free! 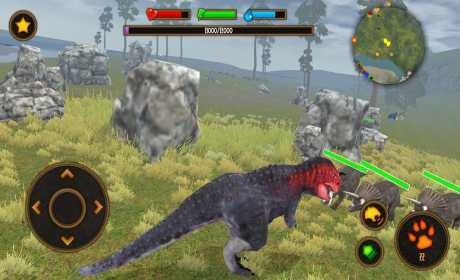 This simulator game is packed with all your favorite dinosaurs including: Velociraptor, Pterodactyl, Triceratops, Stegosaurus,, Spinosaurus, and of course T-Rex. Even some giant ants thrown in for fun. One of the lesser know Jurassic dinosaurs around, the Carnotaurus is ready to hunt everything in sight. Help him establish his own clan, grow into a giant, and dominate the entire jurassic world. Other enemy dinosaurs include : Triceratops, Raptor, Stegosaurus, Tyrannosaurus Rex, and Spinosaurus. Watch out for the giant ants! Race around the huge map and hunt down your enemies. Strike them before they strike you. This game is Part Animal Simulator, Part Role Playing, and Totally Action Packed. Magic abilities include : Invincibility Shield, Electricity, Healing, and Fireball. We would love it if you let us know what you think about this game. We try hard to respond to all comments and listen to your suggestions. This app is a result of your feedback. At Wildfoot, we love 3D animal simulators and our goal is to set the standard of quality for animal simulators. We try to bring you the best animal sims possible, and still keep them free to download.